We love our instruments of all types. Get them a leather accessory. Shown below are different guitar straps, but they can also be made for other stringed instruments. How about a special case? or decorations? If you can think of it, I can probably make it! 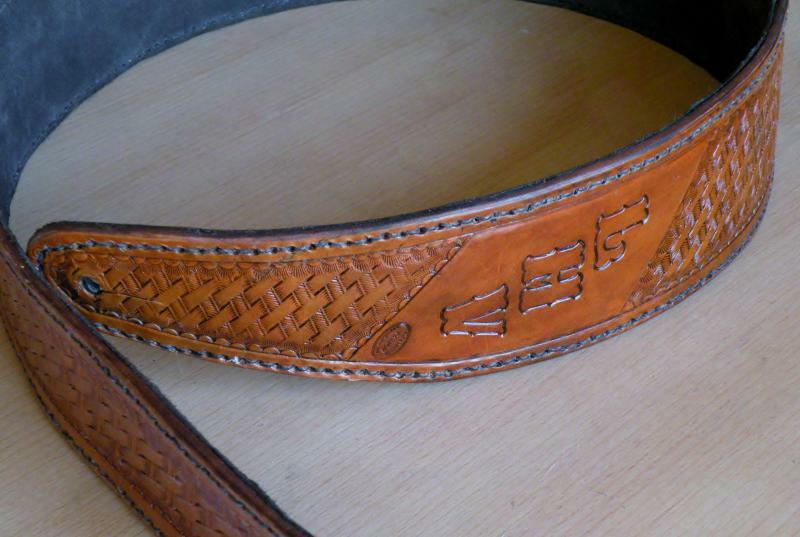 This is the basic guitar strap with a basketweave pattern and accents for a New Orleans Saints fan. The white buckstitched border provides a nice eye-catching highlight. This model adjusts by moving the strap that weaves through the slots. 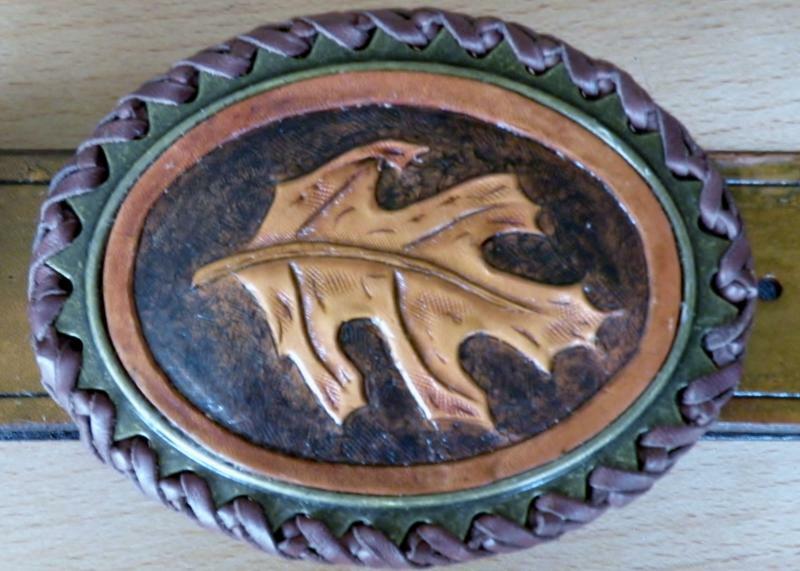 The Ric’s Leather Guitar Strap…. 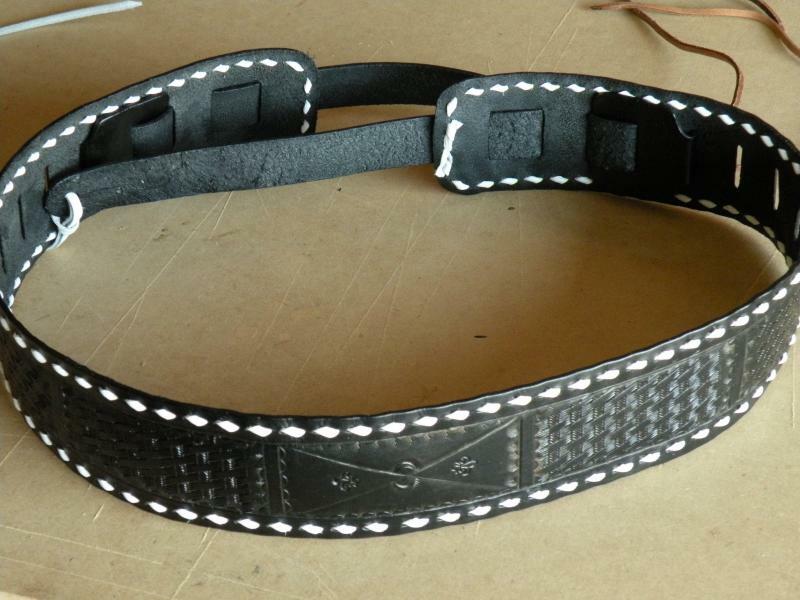 This is a wider strap that adjusts via the buckles and end straps. This one has the straplock connectors on it plus conchos . More guitar straps showing variations in style and treatments. The top one is another version of the basic guitar strap, but without any buckstitching. The lower one is another version of the Ric’s Leather Guitar Strap lined with suede. Want something different from the above standard straps? Then go custom … this one piece custom guitar strap is one example! 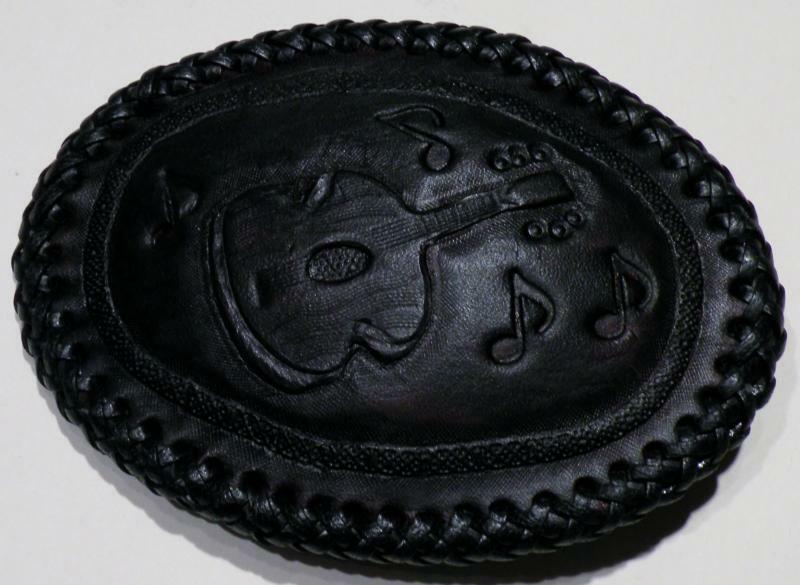 You don’t want to scratch your instrument so get a leather covered belt buckle custom made just for you! Ready to Order? Contact us!